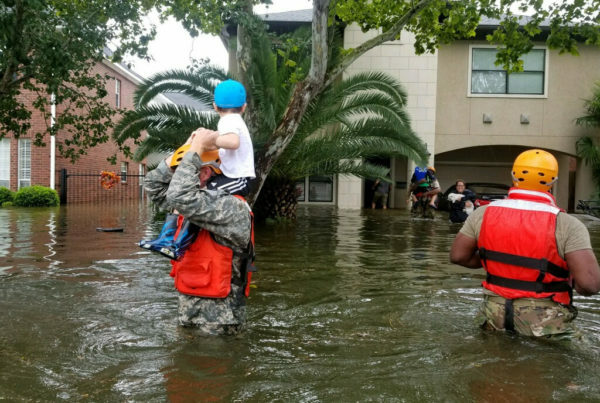 Many people affected by Hurricane Harvey, especially in Houston, can’t leave because of flooded roadways. Austin’s Red Cross CEO says her shelters are fully staffed and ready for those who are able to make it there. A flood shelter at the Smithville Recreation Center in Smithville, southeast of Austin. 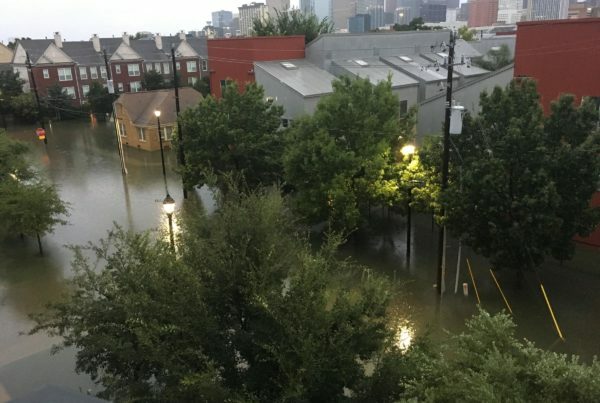 As more and more people become displaced by the fallout from Hurricane Harvey, Red Cross chapters across the state have mobilized to provide shelter for the thousands of evacuees expected to arrive from the hardest hit areas. 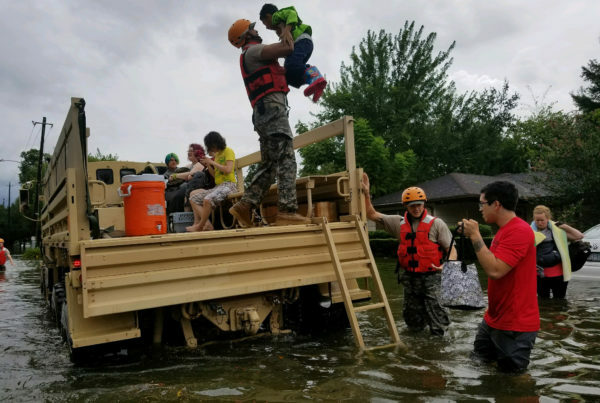 Marty McKellips, CEO of the central and south Texas region of the American Red Cross, says shelters are currently housing about 6,000 people – but that number changes minute by minute. “That number is growing as people are able to escape the water and we expect many thousands more,” she says. McKellips says she’s confident the Red Cross will be able to handle the demand for shelter because 2,500 new volunteers have signed up to help in Austin alone, and there are shelters there on standby. She says the Red Cross chapter in Houston has been setting up “megashelters” for people who can’t get out of the city, as water has inundated most of the major roadways. The organization sent supplies and staff into Houston before the storm hit. McKellips says her chapter has enough volunteers for now, but anyone interested in signing up to volunteer for the future, or to donate, can go to redcross.org.